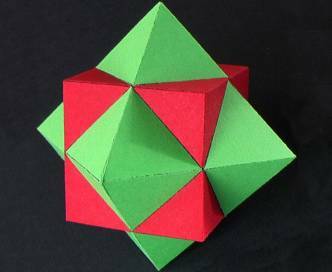 This is a compound of the cube and its dual, the octahedron. It may be constructed using Great Stella in at least three different ways. 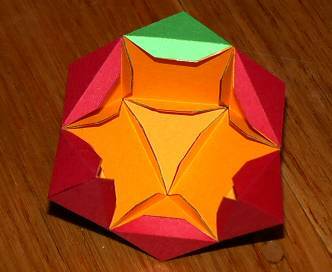 As a stellation of the cuboctahedron. As a faceting of the rhombic dodecahedron. 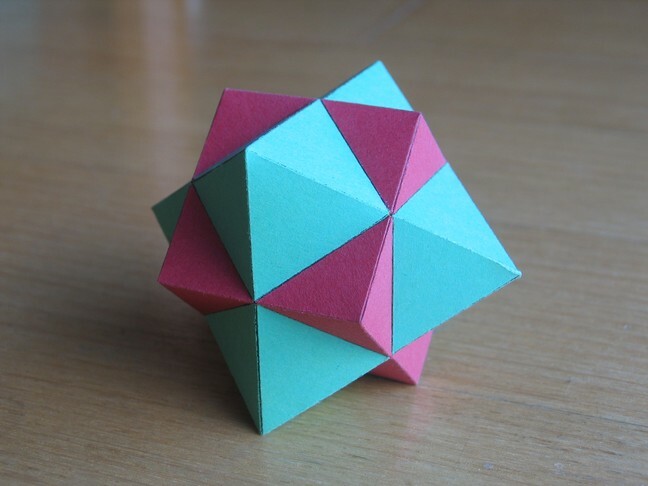 Or by adding either the cube or the octahedron to its dual via the menu item "Poly→Add Base Model and Dual". 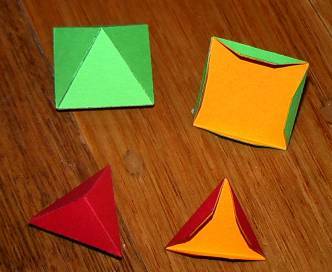 As a stellation of the cuboctahedron, here are the stellation cells exploded apart slightly. 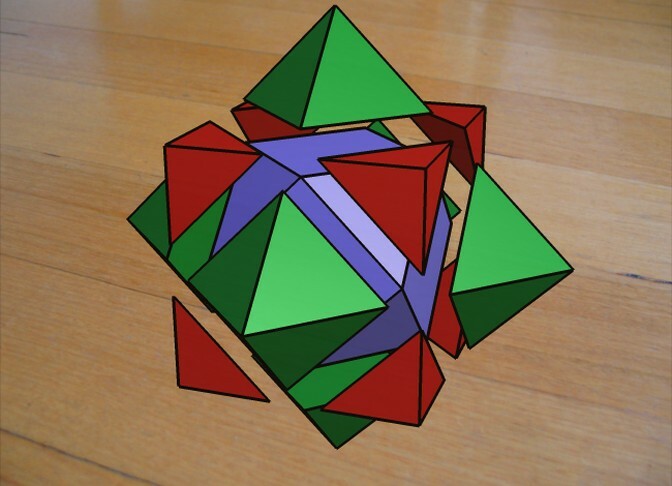 You can see the original cuboctahedron in blue in the middle. After printing out the main nets, I also printed out a bunch of squares and triangles to glue into the base of each peak as shown. The peaks are then glued together just like building a cuboctahedron.